Why must you join ASLI? The Bahri Group is a multi-tiered organization with its experience of two decades in Real Estate Business. We believe in building strong and long term relationships, keeping our esteemed customers in mind by giving them the best services and solutions. The group is one of the pioneers in bringing the concept and formulation of plotted development for senior/retirement homes, organized second homes to India and is the first to meet the highest global standards in doing so. 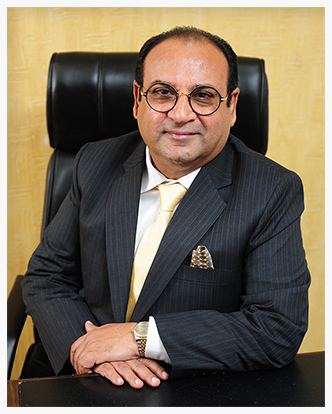 Anandam is the brainchild of Mr. Hemant Bahri: MD - Bahri Estates Pvt Ltd which is an Iso 9001:2015 certified company. He is an eminent member of RICS, (MRICS), London – The world’s leading Chartered Qualification for professionals in the land, real estate, construction, and infrastructure sector. He has been awarded the Business Leader of the year ( 2015-16) at the Gloriole Awards for Excellence in Leadership and The World’s Greatest Leaders (2015-16) – India (Process reviewed by Pricewaterhouse Coopers). The World's Best & India's Most Awarded Retirement Community! Own Villa Plots from a pioneer in the retirement community. ANANDAM was Awarded as the Best Retirement Development of the World and is also the most awarded Retirement Community in India. Anandam Retirement Community is a landmark project in Bahri Beautiful Country Genguvarpatti Village, G. Kallupatti Panchayat, Batlagundu, Periyakulam Taluk, Theni District (Foothills Kodaikanal)with a beautiful view of the breathtaking Western Ghats. Going by the great response to the concept of Anandam Retirement Community and the overwhelming customer demand for an affordable version, we bring out Santosham Retirement Community. Most retired people plan their retirement savings but forget to plan their retirement living; Santosham Retirement Community by Bahri Estates is an affordable project. Located at Plot Numbers — 295, 296, 297 within Bahri Beautiful Country, a secured gated community spread over 120 acres of land at the foothills of Kodaikanal. Bahri Beautiful Country also houses the award-winning and fully operational Anandam Retirement Community, providing the best of medical and hospitality services. Experience a new life after retirement with five-star fun. © Copyright 2017, ASLI (Association of Senior Living India) - All Rights Reserved.